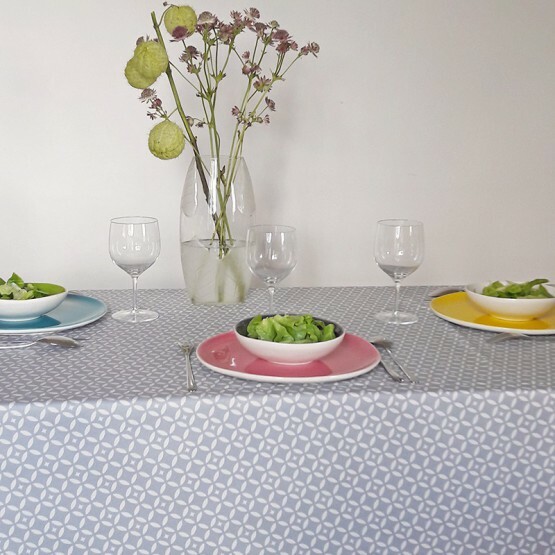 Cotton tablecloth 100% made in France. 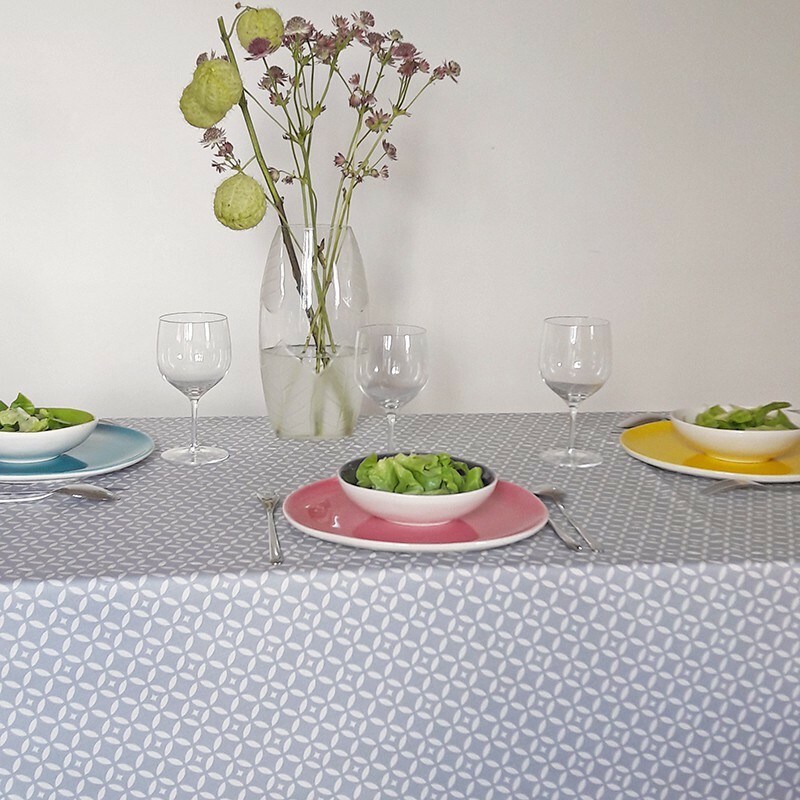 The cotton tablecloth Mosaïque grey is available in rectangle, square, round and oval. 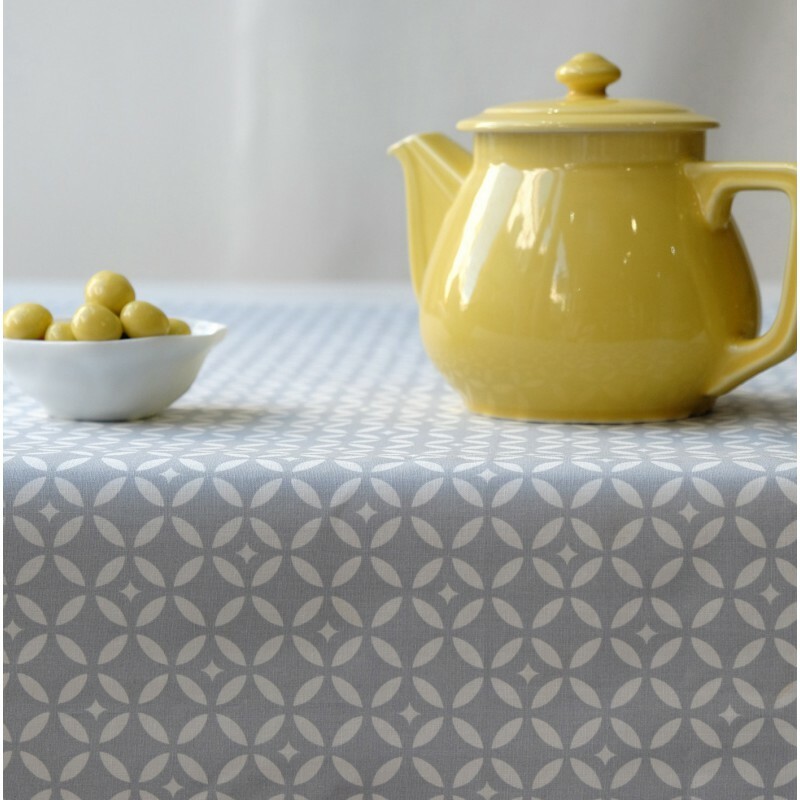 Cotton tablecloth Mosaic grey Fleur de Soleil is 100% made in France! The fabric is woven and then printed in a small village of Vosges. 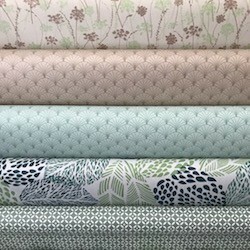 The print is certified Oeko-Tex Class I, which means it is without toxic products. Babies can safely put it in their mouths.